Big data are collections of data sets, enormous and wide, can’t be easily administered using on-hand database management tools and traditional data processing. A large number of data can be produced and shared which can make life much easier with the help of computer. The big data are also originated due to revolutionised technology and everything being computerised. Approaches for fast connectivity and computation have given us the ability to measure the world around bit by bit. Big data don’t stand only for the magnitude but focus on network and connectivity by evaluating multiple variables in real time. 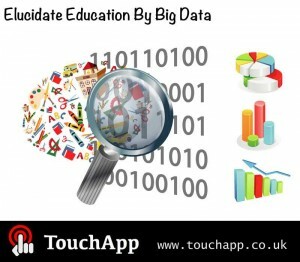 The big data in education system include exam results, assignment marks, the information about services used in library, data on working patterns and other teaching and learning parameters which was really impossible to track traditionally. The amount of data available for analysis can only rise giving a better and fair chance of decision making to reach any conclusion. Ingenious curriculum that collects data at every single step of the student schooling process enables schools to establish the students’ demographics, habits and academic record outline, predict students behaviours and give specific support and guidance to individual student’s needs. Some education institutes have already started addressing student needs with specially made modules, assignments, feedback and learning trees in the course advocating superior and sophisticated learning. Administrators are using big data in admissions, budgeting and student services to ensure clarity exquisiteness and better allotment of resources. This supports easy identification of under-performing students and their enhancement for better knowledge adaptation. However, big data deliberately accounts for some key challenges including data collection, storage, search, sharing, transfer, analysis, and interpretation, which can only be solved by the daily convergence of technology and education. This entry was posted in Education, Technology and tagged big data, education, eLearning, Mobile App development company on October 15, 2013 by touchapp.